A spacious 2 bed town house set over 3 levels. 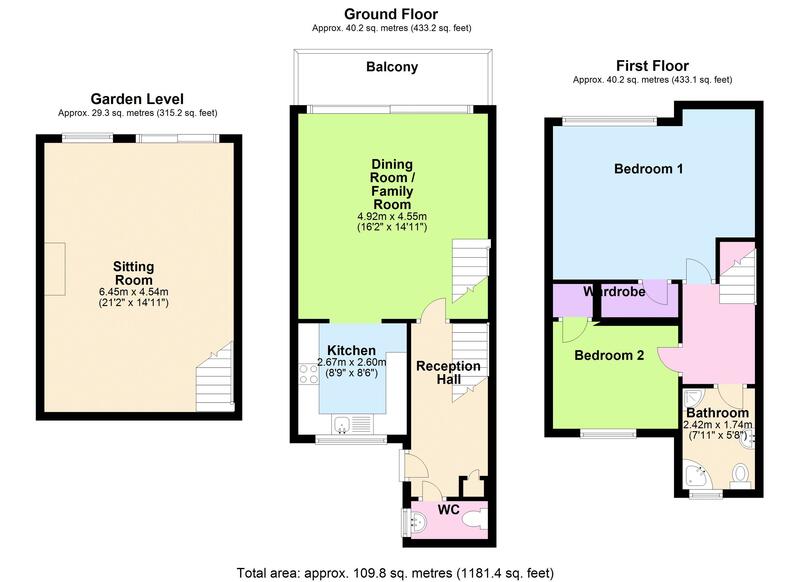 The ground level having reception hallway, downstairs cloakroom/WC, dining room/family room with access to enclosed balcony and modern fitted kitchen with built-in appliances. To the first floor are 2 double bedrooms and modern fitted bathroom/WC. To the lower ground floor is a good size lounge with access to the enclosed rear garden which has been laid for ease of maintenance. To the front of the property there is ample driveway parking, covered carport for one car. This property occupies a much sought after residential position within Wellswood village and within yards of the local Wellswood shops and primary school with Meadfoot beach only ¾ mile in distance and close proximity to Ilsham Valley. Torquay town centre is approximately 1 mile with a further row of local shops and amenities. Offered with vacant possession and an early inspection is essential to appreciate the size and position he accommodation boasts.